In the 2013 Boston mayoral race, now-Mayor Martin J. Walsh received nearly $329,000 through just 22 donations from labor unions. Under a proposed state rule change, those union donations could be limited in the future. State campaign finance regulators want to rein in the money labor unions can give their preferred candidates each year, under a newly released proposal that could dramatically alter Massachusetts’ political fund-raising landscape. The move, while effectively bringing unions under the same limits imposed on individuals, would eliminate a decades-old advantage labor organizations have enjoyed in state and local elections in Massachusetts. The higher donation limit, set in the 1980s, applies to unions and nonprofits that aren’t corporate-funded. And in a state where labor unions still wield substantial power — and often use it to back and fund Democratic candidates — the change stands to affect those in the State House’s majority party far more than Republicans and others. Regulators will hold a public hearing in early March and accept comments until March 15 before releasing a final version of the regulations on May 1. Jason Tait, a spokesman for the campaign finance office, said regulators made the decision after fielding comments from 15 individuals or organizations, including labor unions and business groups. The agency is independent, with its director, Michael J. Sullivan, appointed to a new six-year term in November by a commission that includes the secretary of state and the chairs of the state Democratic and Republican parties. Derided as a loophole by critics, the $15,000 cap survived a challenge before the Supreme Judicial Court in September, when it upheld the longstanding ban on direct corporate gifts. But even then, the court implied — in a footnote — that the campaign finance office should review the regulation. Unions have at times used the advantage to pour thousands of dollars into campaigns of individual candidates,with a notable example coming in the 2013 Boston mayoral race. 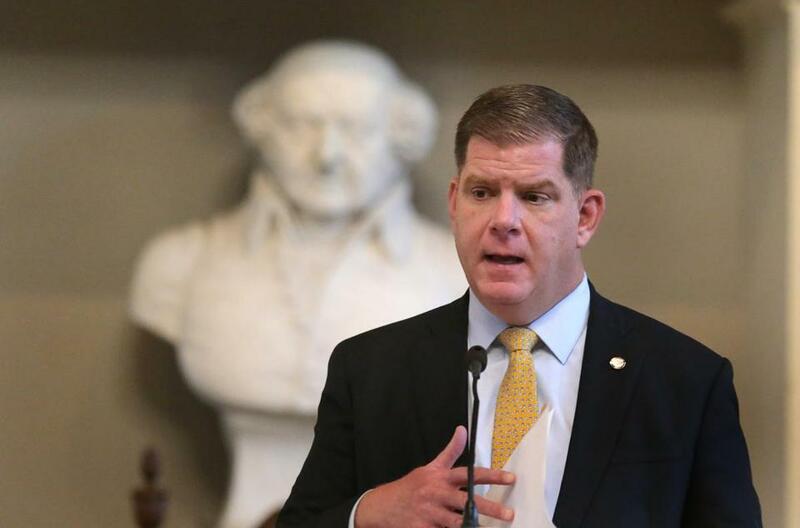 That year, now-Mayor Martin J. Walsh received nearly $329,000 through just 22 donations from labor unions, many of them hailing from out of state. In 2014, Martha Coakley, the Democratic gubernatorial nominee, collected nearly $65,000 through just eight donations from unions. Governor Charlie Baker, then the Republican nominee, took a $15,000 donation from the Massachusetts Correction Officers Federated Union during that race. The donations can have a greater impact further down the ballot. In 2017, for example, state Senator Paul Feeney, a Foxborough Democrat and former labor official, collected $35,000 from just five union donations, or about 25 percent of the $130,000 he raised before winning a special election that fall, records show. The Massachusetts Fiscal Alliance, the conservative nonprofit whose founder, Rick Green, was behind the lawsuit to eliminate the corporate donation ban, applauded the proposed regulations. Green and Mass. Fiscal Alliance board member Michael Kane are petitioning the Supreme Court to take up its case after the SJC ruled against its challenge. Several labor groups submitted comments challenging a cut to the $15,000 limit. The Massachusetts Teachers Association went further, urging the agency to index the limit to inflation — which would allow the $15,000 cap to gradually increase. “Unless the cap is indexed, the ordinary course of inflation will ultimately render meaningless what unions and nonprofit organizations can lawfully contribute without crossing the ‘political committee’ threshold,” Ira Fader, the union’s general counsel, wrote Nov. 30. The Massachusetts AFL-CIO, whose president, Steven A. Tolman, had submitted comments urging the state to keep the current structure, did not comment Monday.